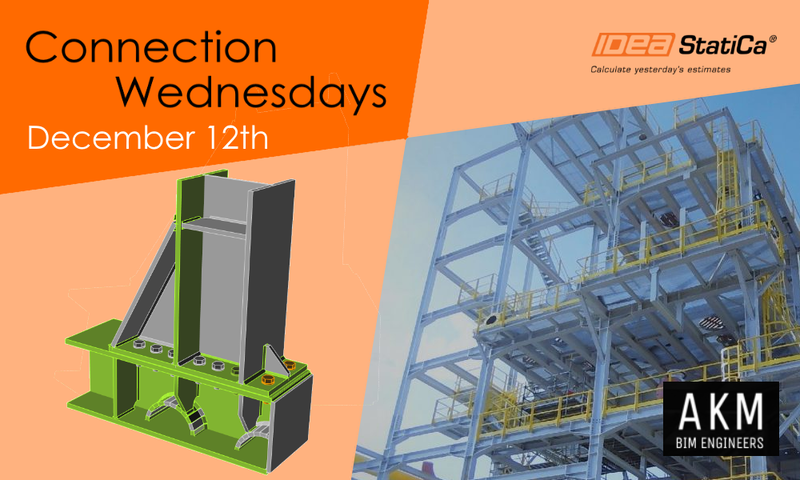 Join our last Connection Wednesday webinar for this year, where you will see the whole workflow of modelling, loading, and code-check of a very interesting steel joint from a large project in Colombia. In addition, we will go through one “HelpDesk highlight” – a current vibrant topic from our support desk. At the end of each webinar, there will be a Q&A section to answer any questions. On Wednesday, December 12th, we run two same sessions so that you can choose the one that fits your day. : the first at 10:00 GMT (London time), followed by another one at 18:00 GMT (or 13:00 New York time).